Summer is here!!! While your clients are thinking summer vacation and carefree days, you're looking at your bottom line and counting the days until summer is over and business picks up once again. But don't waste this precious opportunity! During these slower months, consider making yourself an even more viable option for potential clients once they are back in full swing. Increasing your credentials is not only smart, it's a proven method for increasing your bottom line as well. Continuing your education might seem unnecessary to some designers, especially those of you with many years of experience. But even veteran designers can benefit from expanded learning and often easily pass courses simply by drawing on their vast industry knowledge. Not a seasoned designer? Even more reason to expand your scope of knowledge in the field by increasing your credentials through certification. The good news is that Designer Society of America is here to assist you, providing valuable tools, resources, and mentoring services to see you through our online certification courses. Interested in pushing your career over the next hurdle? 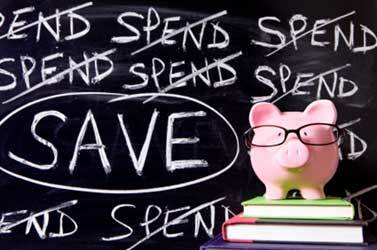 We'll soon be offering even more online courses and at a special discounted market rate for our members. Nationally accredited "Residential Interior Design Course" also known as "RIDE Certified" is available through colleges across the country. DSA is offering this course as a home study course with you in mind. We know how very busy all of you are keeping up with the many challenges of operating a design business and keeping clients happy. But whether you have years of experience under your belt or are just trying to make a name for yourself in the industry, it's important to set aside time for personal growth and improvement. Residential interior design certification can provide invaluable clout for designers at any level in their career. In addition, validation among other professionals in this field is a strong tool for advancing your opportunities and reaching for the stars. Nationally recognized and accredited, our residential interior design certification course and exam can give you the credibility you need for not only bringing in new clients, but also gaining additional respect throughout the industry. Even if you've been in the field for years, certification still holds great value. Continuing your education proves your commitment to the industry, to ongoing professional development and to providing the best possible service to your clients. Don't waste your time and money trying to gather this much-needed knowledge through unrecognized sources. A respected source in the design industry, DSA has pulled together a high-quality curriculum that goes right to the heart of the matter to teach you what you need to know. Take the R.I.D.E. With Us! Summer discounted rate take 25% off. Limited offer only available by phone, call 866-721-7857 press "0" Monday-Friday 10:00am -5:00pm eastern time. DSA's Residential Interior Design Education (R.I.D.E.) is available to all levels of designers interested in advancing their education, knowledge, and professional status in the industry. Certification through this course is reasonably priced in comparison to other industry offerings and we're here to guide you through to success. • Successful completion of the course qualifies you to use the R.I.D.E. (Residential Interior Design Exam) certification designation with your credentials, a designation which enjoys a superb reputation as an industry leader in residential design education. • You receive a .jpeg file containing the official R.I.D.E. certified logo for inclusion on your webpage, business card, email signature line, etc., a rapidly growing industry standard recognized by professional organizations, educational institutions and discerning clients. So, don't delay - call today and get ready for your Residential Certification. Don't forget to mention the secret code for your discount of 25% call 866-721-7857 press "0" to order now to receive your discount and a free designer canvas tote before June 20, 2012. Just like you, we want to be the absolute best at what we do. Our goal at Designer Society of America is to continually improve to better serve you - our members! To that end, we are currently adding to our website to provide an even more effective tool for our designers and other industry members to better promote themselves and boost their businesses. With the growth comes a new challenge or two, so we apologize in advance for any technical difficulties you experience in the near future while visiting the Designer Society of America's website. We are working on some exciting new updates and improved search engine optimization to help drive more traffic to you - our loyal DSA designers and trade member resources. "You" are Designer Society of America, and we continually strive for excellence on your behalf. Even as we grow leaps and bounds, dependability and membership services remain a top priority. Excellence in both technology and member services are at the root of all we do to serve you. We appreciate your patience while we strive for excellence in education, marketing, and membership service for interior designers and those who service the trade. And we know you'll appreciate all we're doing to help advance your career efforts. You will soon receive an email announcing that our upgrades are complete and that you are once again free to log in and work on your portfolio. Keeping your free portfolio up-to-date is crucial in bringing new business your way. We're happy to assist you in creating or updating your portfolio information. And don't worry - your current portfolio will remain on the site even after updates are completed. This month, the company known for its design-forward furnishings and quality craftsmanship will introduce Ethan Allen Express: a versatile selection of beautiful room designs that will be available at amazing prices and delivered faster than ever. The Ethan Allen Express program, which comprises dozens of products put together from a chic selection of fabrics, finishes, and options, is the perfect choice for clients moving into their first place, downsizing, or transitioning into senior living. Depending on your client's individual needs, they can order the complete design - or just a few key pieces. For a limited time, Ethan Allen will offer the choice of 10% savings or 48-month financing* on Express purchases. 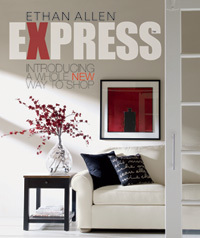 See the full Express assortment and complete offer details at your local Design Center or ethanallen.com/express starting mid-June. *Subject to credit approval by GECRB. In today's economy, it's tempting to lower your fees to win business. But doing so will bring you more trouble and heartache than it's worth. Read on to learn three reasons why you don't want to be the lowest price, and what you can do instead to win clients you'll love. 1. It sets a precedent for a dissatisfied and demanding client. When you're the lowest priced designer, or if you discount to win the business, you're setting an expectation with your client that you'll always charge this price. Even if you feel the rate is lower than they could possibly get anywhere else, your client will feel differently. You've set the bar for what you charge, and if you try to change it in the future, be prepared for a backlash from a very dissatisfied client. And remember, dissatisfied clients will tell four times more people about you than satisfied clients. 3. It attracts nightmare clients. People who select a designer because they're the lowest price are penny pinchers, and more often than not, turn out to be nightmare clients. In other words, they are not your "ideal client." Moreover, when you take on penny pinchers, you attract more of them. 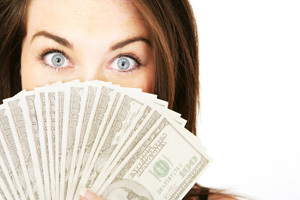 Is this how you want to build your business...attracting clients who don't value what you do? The clients you take on today are like the bricks you use to build your business of tomorrow. 1. Know what makes you different. First and foremost, you need to know what makes you different. Why should your client hire you over everyone else? What is your unique value, or how can you uniquely solve your client's problem? If everyone sounds the same, your client has no choice but to choose the lowest price...it only makes sense, right? When you can answer these questions and use the right words, your ideal clients will hear you and hire you. 2. Build value. Your goal as a designer needs to be to maximize your value to your client, because the more value they perceive, the more they'll pay for your services - period. When you demonstrate that you truly understand them and their goals, how you are uniquely qualified to help them achieve their goals, and help them picture themselves experiencing the finished result, you've won yourself a client. 3. Work on your mindset. There is nothing else that will contribute more to your success than having the right mindset. Oftentimes, designers charge less than they're worth because they don't have confidence in themselves; they were raised with beliefs like money doesn't grow on trees, and other limiting thoughts. You need to identify the beliefs that are not supporting your goals and reframe them. I teach my clients to reframe them by using what I call Magic Mindset Shifters. 4. Give them a unique experience. There's been a distinct shift in consumer behavior from paying for 'things' to paying for 'experiences.' So if you make working with you a unique experience for your client, they will perceive more value and not only choose you over other designers, but also pay you more for it. 5. Give them more value that they pay for. The best way to not only win but serve clients is to strive to give them more value than you charge, so your client feels they're getting more value from you than from anyone else. You do that by applying the four suggestions above. To learn how to specifically build value with your client, Click here for details and to register. You'll also receive a $147 Business Growth Dashboard with our compliments when you register. Maria Bayer, Authentic Sales Coach for Design Success University, brings more than 15 years of multi-million dollar sales experience to help you close more clients now. All the standards focus on indoor air quality in terms of volatile organic compounds (VOCs). However, the definition of VOCs differs from standard to standard. The strictest definition is a carbon-based chemical that reacts in sunlight to form smog. A wider definition includes chemicals that are known to cause chronic health problems. 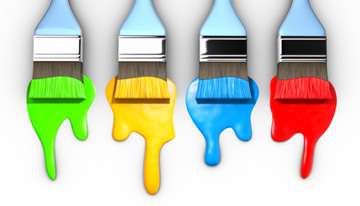 Some standards prohibit certain chemicals outright; they may not be included in the paint at all. 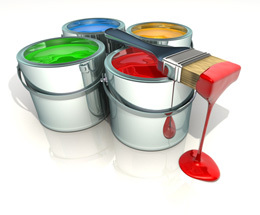 Some address harmful chemicals only if they off gas as paint dries. Some include physical property requirements and some do not. All of the above standards consider indoor air quality. 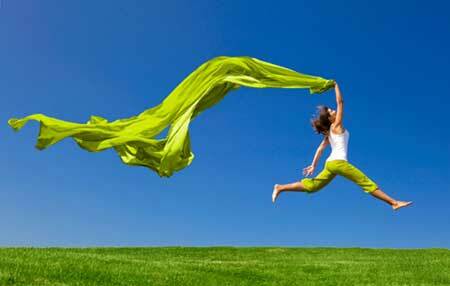 Some have physical performance requirements and some prohibit chemicals that are considered hazardous. They all apply to paint as a product. There are also standards that apply to buildings as a whole. These include indoor air quality - either as a requirement or as an option. If the indoor air quality aspect is pursued, these standards effectively impose requirements on paint. They also impose requirements on flooring, ceilings, and furniture.